The recent Burger King advertisement intended to hijack your Google virtual assistant is a feature, not a bug. You may have noticed the below ad being shared on social media or been one of the (un)lucky few to see it on TV and be (un)fortunate enough to have a Google Home or other virtual assistant that it activated. The Verge puts that audience at a very small one indeed. 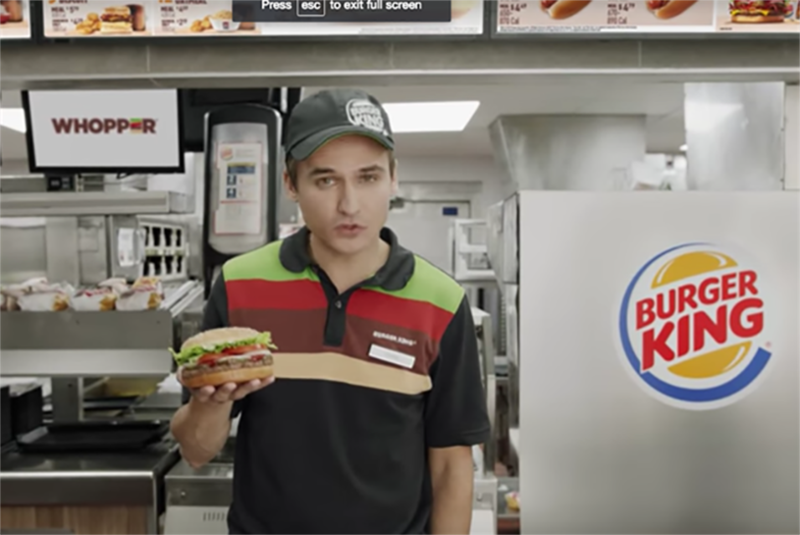 While Burger King clearly conceived of the ad as a media stunt (unknown whether they anticipated the Wikipedia editing that cast the Whopper in negative light), it portends a future showdown between brands, advertising agencies, consumers and virtual assist device and operating system developers. The ad's effectiveness was short-lived, Google tweaked its operating system to shut down the request. But this will be an arm's race. Advertisements currently rely on data intake from a complex, but fallible operating system—the human brain. The advertisers judge success by how well that same "computer"—the one that routinely forgets names and birthdays and where the keys are—recalls the ad. Virtual and home assistants are the evolution for which advertisers have been waiting a long time. It can enable advertisements to rely on a smarter system to push their message further down the funnel. Imagine an ad that can purchase tickets or supplies directly for you. Or put a sale on your calendar. The possibilities are endless. Also endless will the fighting: you, the consumer, and the Googles of the world will not want their products hijacked for marketing messages. Brands obviously do not want to annoy you to the point that you end up hating them, but they also don't mind a bit of disruption. Google and Amazon (and others sure to follow) know that their current products are still "beta" and do not want the consumers that are still wary of usability and security to find a simple reason to not use their products. At some point in time, there will likely be a middle ground where ads like this are opt-in and useful, but prepare for a lot of moving fast and breaking things before we get there.